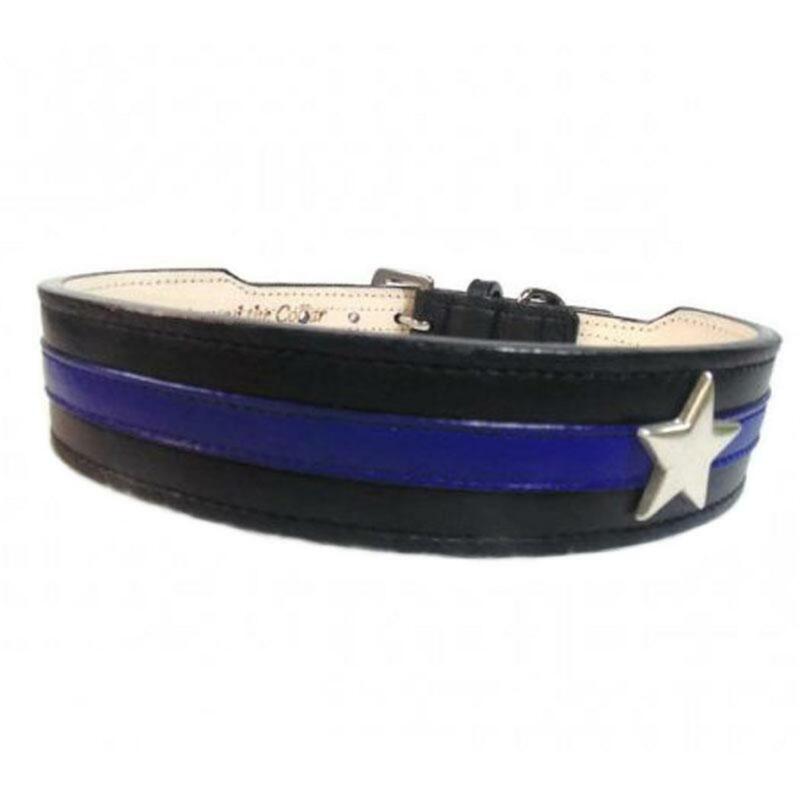 This handmade, black leather 1.5" wide collar tapers to 1" for a comfy fit on your dog's neck and is accented by a 1/2" royal blue leather stripe down the center. The 1/2" royal blue leather stripe stitched down the center features one silver star and shares the colors of those that offer support and protection in our lives. It's sturdy leather construction ages beautifully. The craftsmanship and quality of materials used for these collars are second to none. Your dog will love the feel from the vegetable tanned leather lining and you will love how well it wears over time. The painted edges, lead-free and proudly made in the USA, are a part of what makes these collars special.